The average lifespan of someone with an autoimmune disease is 10 years shorter than a healthy person! It’s time to achieve greater health and improved happiness so you can break the cycle of pain and start living again! Learn to break the cycle of autoimmune pain! Autoimmune diseases–and the physical, chemical and emotional pain they create–impact millions around the world. The primary way doctors treat them is to prescribe immune suppressing drugs. Unfortunately, this approach has failed to achieve a meaningful outcome and has created an even greater health crisis. 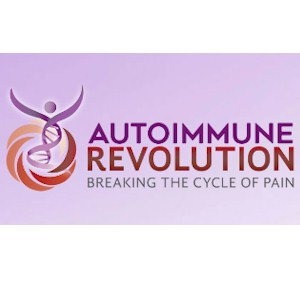 The Autoimmune Revolution brings together the top doctors, nutritionists, naturopaths, and researchers with the latest information about autoimmunity. Join 35 experts to learn how to prevent and reverse pain from autoimmune diseases.